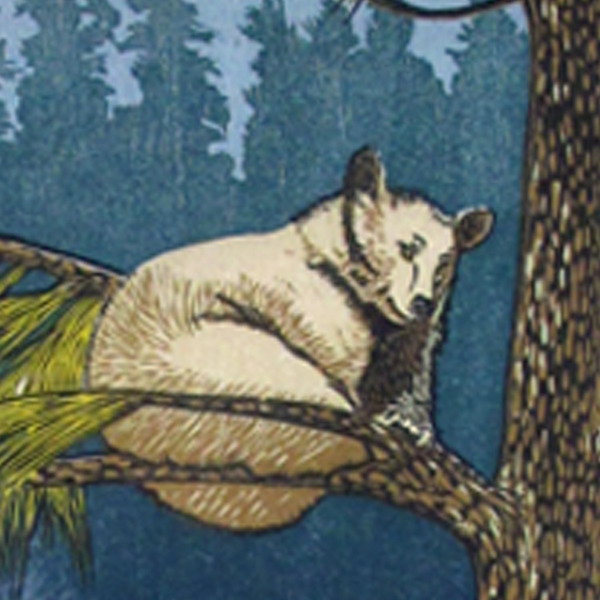 Woodcut is a relief printing technique in printmaking. An artist carves an image into the surface of a block of woodâ€”typically with gougesâ€”leaving the printing parts level with the surface while removing the non-printing parts. Areas that the artist cuts away carry no ink, while characters or images at surface level carry the ink to produce the print. The block is cut along the wood grain (unlike wood engraving, where the block is cut in the end-grain). The surface is covered with ink by rolling over the surface with an ink-covered roller (brayer), leaving ink upon the flat surface but not in the non-printing areas. Multiple colors can be printed by keying the paper to a frame around the woodblocks (using a different block for each color). The art of carving the woodcut can be called "xylography", but this is rarely used in English for images alone, although that and "xylographic" are used in connection with block books, which are small books containing text and images in the same block. A single-leaf woodcut is a woodcut presented as a single image or print, as opposed to a book illustration.